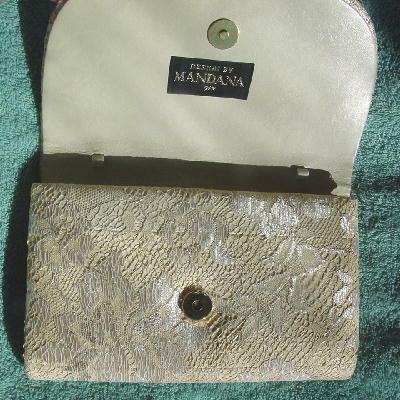 This lace clutch has an envelope style with a hidden magnetic snap and was Designed By Mandana. 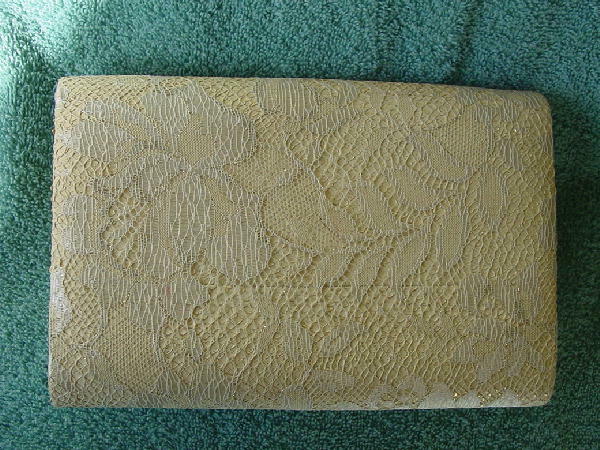 It has a padded sandy-bone color surface under the lace. 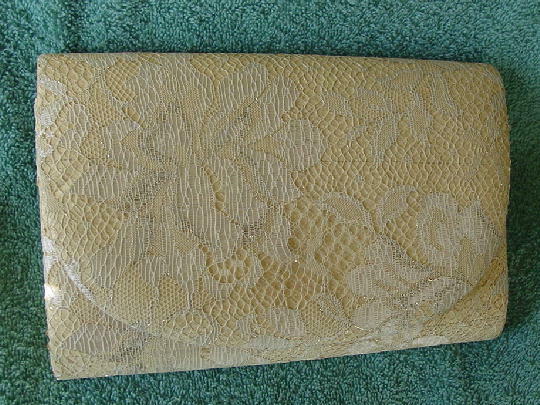 We're not quite sure whether the base is reptile skin. 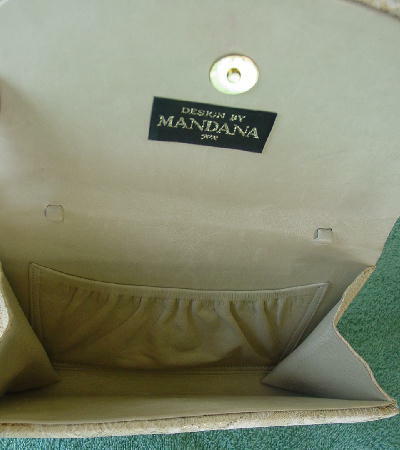 The interior is lined in a bone leather and even the pocket is in leather. 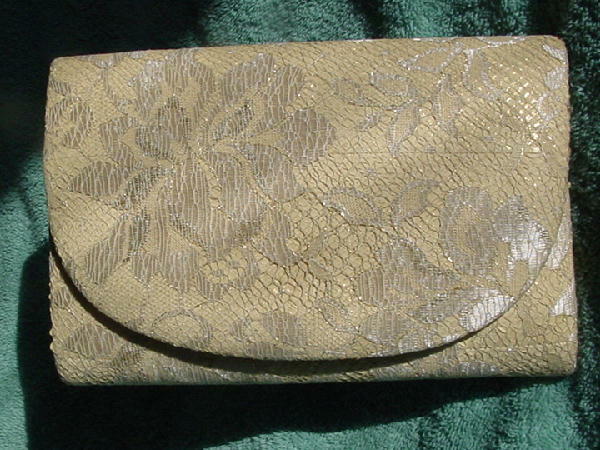 Inside the flap are 2 leather loops so you can attach a chain if you want. 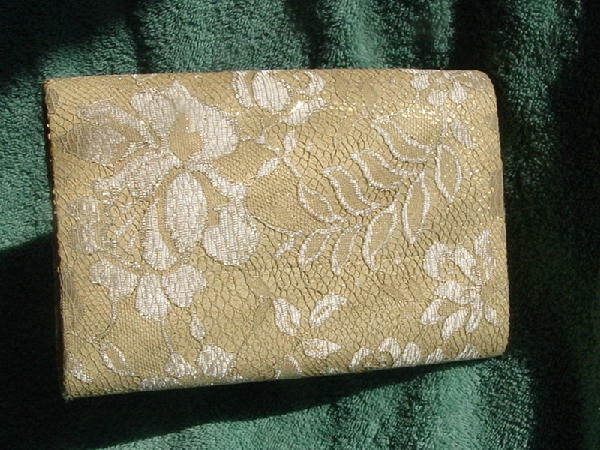 The lace has a tone-on-tone pattern on the flowers and leaves and the lace also has metallic gold accents on the surface. There is a little red area above the magnetic snap which has transferred to the area with the lace under the front flap. 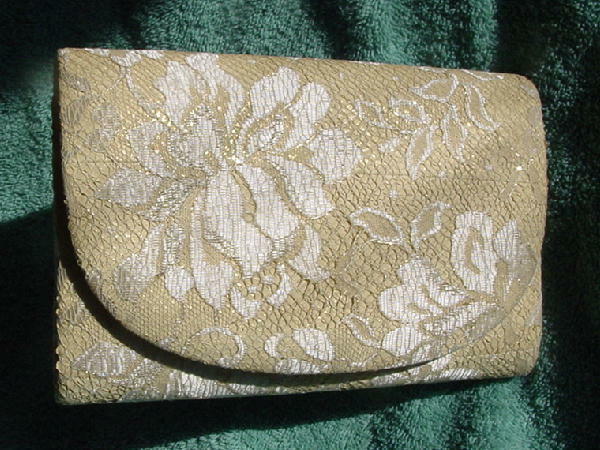 It's from a French model, who used it as her evening purse while at the Cannes Film Festival several years ago. She sold it because it was a present from her now-ex fiancee.